Shon has been teaching for 24 years at Claremont and coaching for 30. He has his Masters in coaching and is level 3 certified (volleyball). 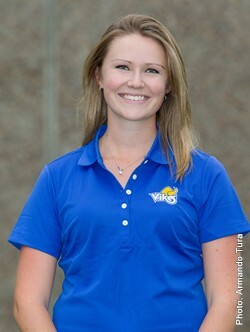 As an avid golfer, I am so excited to work with the CSI golf students and the Cordova Bay PGA teaching staff. Learning at the course five days is a week is an extraordinary opportunity for the students where we get to see them excel in an incredible outdoor classroom. Nate is a recent graduate of the University of British Columbia and is also a former Claremont Student where he played on various athletic teams. Nate’s passion for the game of golf was sparked during his high school years and it eventually led him to a golf scholarship with the UBC Thunderbirds men’s team where he captained in his final year with the program. Ever since picking up the game, Nate has been driven and fascinated to learn about all aspects of the game. This fascination has translated into a passion for teaching and coaching fellow golfers of all ages and skill levels. Since graduating, he has joined the PGA of Canada to further his education and turn his passion into a career. Nate became one of the CSI coaches at the start of 2017 and looks forward to helping develop Victoria’s junior golf contingent. through lowered scores and improvement. ongoing junior programs at The Ridge Course. Dr. Ben Stebbins is a Titleist Performance Institute Certified (TPI) Chiropractor at Tall Tree Integrated Health Centre at Mattick’s farm. Here, he specializes in helping junior athletes and golfers overcome pain, injury, and improve their performance. He runs the Golf Stronger Longer Program at Tall Tree Health, where he helps golfer’s manage any physical limitations in their swing, keeping them golfing stronger for longer. His goal with the Claremont Golf Academy is to teach the students how to move like athletes, build strength, and improve the physical part of their golf game. He is also the first line of support for any student-athlete dealing with pain, injury, or physical limitations so they stay on the course golfing! Don’t hesitate to contact him with any questions. Doug became interested in this great game early in life traipsing the fairways of Qualicum Beach Memorial at the age of 9. John Leyne, Head Profesional allowed Doug to caddy for the better club players and some important guests. These experiences sparked Doug’s desire to play golf. Moving to Victoria, Doug joined Gorge Vale Golf Club where playing golf was more important school. Doug has spent his entire working life studying the game of golf, the history of the game, how it is played and how to successfully teach the game. Doug believes that everyone is an individual, has their own learning style; these and their goals form the base of their personal learning program. Doug continues to believe that if he dares to teach he must never cease to learn. – Ten years as apprentice and associate professional at Victoria Golf Club 1973- 1983. – Head Professional Glen Meadows Golf and Country Club 1983 – 1989. Here developed and taught the “Soft – – Touch” short game program, golf fitness program “Maximum Golf” and started both the Colwood Dairy Queen – Junior Championship with Jon Mahovlic and the John Orr Junior Championship. – First Head Professional, Olympic View Golf Club 1989 – 1999. Developed all the teaching programs run at Olympic View. – Instrumental in bringing “Tiger Woods” to Victoria in 1994 by developing a high school golf team program for Victoria schools working with Earl Davies. – Head Professional at Quilchena Golf and Country Club in Richmond B.C. 1999 – 2009. Developed the Club’s – Junior Golf programs that produce Christine Wong, BC Junior Girls Champion. Born and raised in Victoria, Cory has diligently worked for the successes he has achieved. Cory has spent the last five years touring as a professional with full status on the Mackenzie Tour - PGA Tour Canada, along with a handful of events on the Web.com and PGA Tours. After graduating from Claremont in 2004, Cory became a Thunderbird at the University of British Columbia where he helped lead the T-Birds to two Canadian National Championships and one NAIA National Championship. His collegiate career also included three individual tournament victories and was named UBC Male Athlete of the Year in 2009. Cory's other amateur accomplishments include winning the 2011 BC Mid-Amateur, finishing runner-up at the 2011 Canadian Mid-Amateur, and third at the 2011 Canadian Amateur. After turning professional in the fall of 2011, Cory won the Syncrude Boreal Open on the Mackenzie Tour in 2012 and finished third on the Order of Merit. 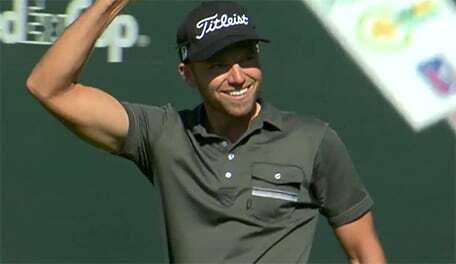 Cory has won four times on Arizona's Gateway Tour, three times on the Pepsi Golf Tour, recording a tournament low round of 59 (-12), and a career low round of 58 (-13) at Cordova Bay golf course. Cory's passion for the game of golf has lead him to join the PGA of Canada and the team at Cordova Bay to help train and develop the next generation of talent from the CSI golf program. As Cordova Bay's Lead Teaching Professional I bring a philosophy to learning that encompasses the individual. Everyone has their own strengths and weaknesses, and I believe in nurturing those strengths and developing programs that meet the needs and goals of each student that I encounter. "CSI Golf offers a unique opportunity for high school students. The privilege of participating in the program is built on the foundation of golf's great traditions. Golf teaches us discipline, honour, self-respect, humility, etiquette and care for others. As CSI coaches, we look to teach life skills from a golf platform. It's a significant responsibility, a responsibility that we all recognize and enjoy". My philosophy as a coach is to keep listening, keep learning. Specialties: All aspects of teaching/coaching golf, including full swing, short game, self-management, game management, and club fitting and recommendations.